The image above is from John Bauers. 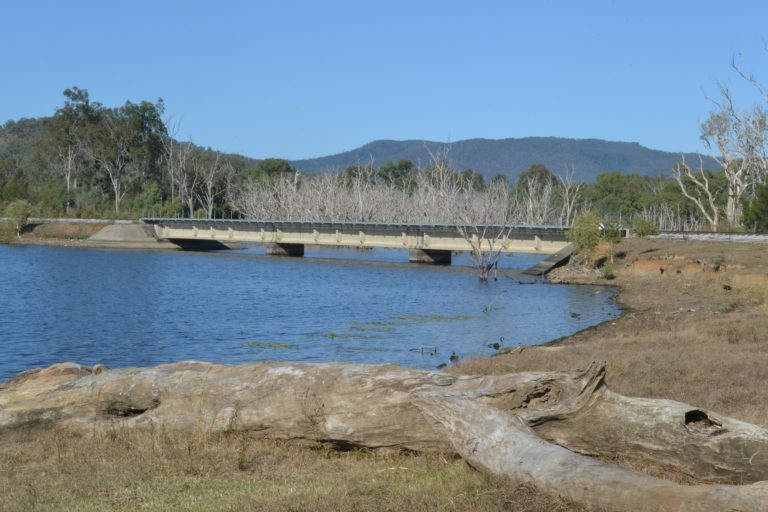 Originally the bridge was for Futter Creek, and now traverses Lake Awoonga waters where the creek used to be. 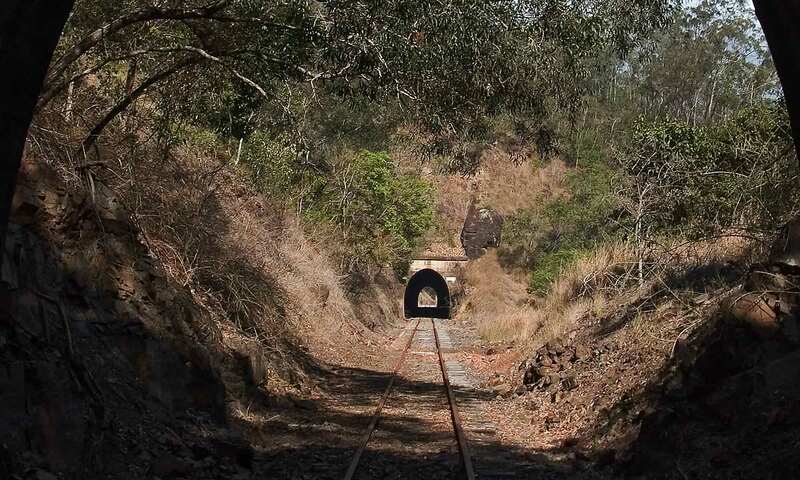 It is 171 metres long with 12 metres depth under the middle span when the dam is full as in this photo. The steel for this bridge was manufactured in Scotland. 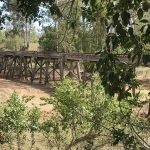 Closeup of bridge across Portentia Creek. 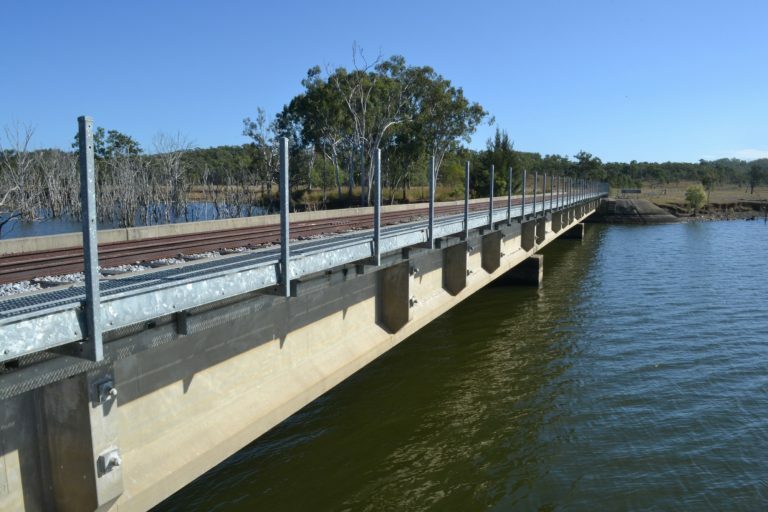 This new concrete and steel precast bridge was built when the Awoonga Dam wall was raised, and is the next main creek along the trail after Futter Creek. Thanks to Greg Meyer for the photos. 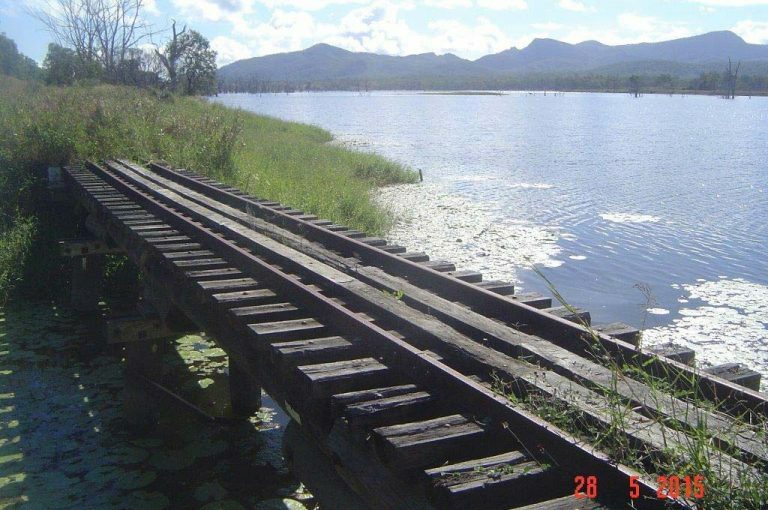 Photo complements Transport & Main Roads / Qld Rail. This bridge is at Boynedale near the Bush Camp facility provided by Gladstone Area Water Board. 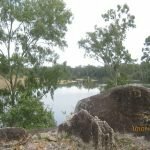 This section of the proposed rail trail will be extraordinary with unmatched views across Lake Awoonga. 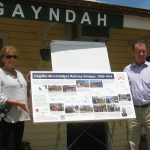 Next PostNext The proposed Boyne Burnett Inland Rail Trail – a way forward (Funding is always the problem).